MARJORIE PHYLLIS PETERSON, nee Moir, of Cardston, beloved wife of the late Golden Grant Peterson, passed away at the Chinook Regional Hospital in Lethbridge on Sunday, September 30th, 2018 at the age of 81 years. Marjorie will be missed and lovingly remembered by her children Byron Peterson (Karyn) and Sheri Kiemele (Darwin); her grandchildren Darin Peterson (Mistie), Moira Dawn Law (Jonas), Breanne Kiemele, Tyson Kiemele, Bradley, Trevor, Marissa, Serena, Curtis, Adam, and Diana Peterson; and by her great-grandchildren Taylor Peterson, Caleb Peterson, Aspen Law, and Piper Law; as well as her brother Kent Moir (Monnie), her brother-in-law Brian Egli, her sister-in-law Melva Quinton, her nephews and nieces, cousins, and many friends. Marjorie was predeceased by her husband Grant Peterson in 1999 and her sister Beatrice (Bea) Egli in 2015. Marjorie was born in Cardston, Alberta on August 26th, 1937 to John (Jack) Albert Moir and Katrina (Katherine) Maerz. She was raised in several small communities around southern Alberta as her dad Jack Moir was a school teacher. Marjorie received her RN degree in September 1960 from the Holy Cross Hospital School of Nursing. On May 26th, 1962, Marjorie married Golden Grant Peterson in Rosemary, Alberta. They lived in Cardston during the early years of their marriage, and later moved to Beazer, Alberta where they raised their family. Marjorie worked for many years at the Blood Indian Hospital in Cardston, where her love for the Native people was very evident. She also enjoyed using her knowledge of nursing to help many neighbours and farm animals alike. When she wasn’t working she was doing something nice for someone else or playing crib with friends. Marjorie also enjoyed keeping a series of history books documenting births, weddings, deaths, and other life events of many local area families which amounted to dozens of volumes. She kept this up until she could no longer see due to macular degeneration. 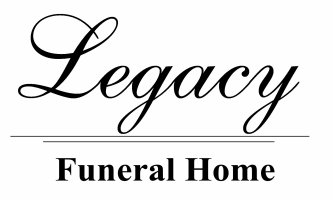 The Funeral Service will be held at The Church of Jesus Christ of Latter-day Saints, Temple Street Chapel, (355 - 3 Street West) Cardston, AB on Friday, October 5th, 2018 at 1:00 pm. Friends may meet the family from 12:00 to 12:45 pm prior to the service. Interment to follow in the Beazer Cemetery in Beazer, Alberta. Condolences may be sent by CLICKING HERE.